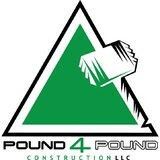 Pound 4 Pound Construction provides a broad variety of masonry services for our neighbors throughout the Greater Beaverton region. If you're looking for a concrete contractor with ample experience and a reputation for getting the job done right the first time, we're here for you. Our dedicated efforts make virtually permanent improvements for residential and commercial properties, and our work adds aesthetic appeal that enhances realty values at the same time. We're local to this community, and we take pride in contributing to its structure and beauty. Some of the jobs we perform include: Driveway and sidewalk installations and repairs Patio construction Retaining wall construction Asphalt blacktop sealing Our lead concrete contractor and owner of Pound 4 Pound Construction, Harvey Fuapau, is on-site for every job and easily available throughout the construction process. We will listen attentively to your ideas and concerns and then devise a plan to achieve your goals. Our fully licensed and insured masons will arrive on time for your appointment and work synchronously to ensure accuracy and speedy job completion. Contact our office in Beaverton, OR, to learn more about our abilities, and schedule a free on-site consultation and estimate today. We do stamped concrete countertops, driveways, patio's and pretty much anything concrete. 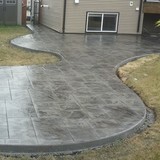 Our specialty is stamped concrete. Dateline Concrete, happily operating in beautiful Portland, Oregon, is ready to provide answers to your questions regarding stained and/or stamped concrete for your decorative concrete design. We manage concrete and brick projects from start to finish and you will love the results! We have countless happy clients as you can see from the quality work shown in our examples and we would love to help make you happy and improve the value of your home. Our team has almost 10 years of professional experience making homes look amazing. 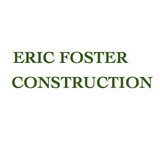 If you're looking for professional concrete and mason work at reasonable rates, then call today for a free estimate. 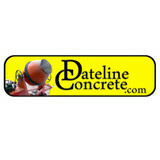 Accurate Concrete Cutting, Inc. was established to service the Pacific Northwest in the year 1985. The company is owned and managed as a family ran business. The owners have been in the cutting and coring industry for over 40 years. We take pride in the work performed. Accurate strives to complete all projects with your best interest in mind. Over the years we have developed our company to handle all phases of cutting and coring with the newest technologies available in the construction industry. The unusual and sometimes the almost impossible is what we thrive on. Hal's Construction is a family owned and operated business specialized in asphalt maintenance and repair within a 200 miles radius of Portland, Oregon since 1973. We service residential, commercial, and industrial clients with everything from paving driveways to performing roadway repair. We also maintain and repave parking lots for apartment complexes, city buildings, distribution centers, etc. Hal's Construction, Inc. is focused on quality of work and meaningful customer relationships, providing specialty services to your specific needs. Our company has dedicated employees. Many employees have been with us for more than 10 years; with that loyalty and commitment to service, we guarantee you a job done right-the first time. Pro Paving LLC has been providing work related to Street & Bridge Construction for many years. Call us at (503)550-1952 Pro Paving LLC has years of experience working with commercial and residential clients of all varieties of sizes. No job is too big or too small for our team. Our team is passionate about their work, and we stand behind our results. We have built and maintained a flawless reputation among our customer base for quality services and high standards. Whether you need paving, seal coating, patch work, or another paving service, our team is fully equipped to meet your needs. Attention to detail, quality materials and properly working equipment are key elements of a great asphalt paving company. Hard work and experience have paid off for us over the years as we've paved our way into the hearts of hundreds of happy customers. We take pride in our work and make sure that we never leave any questions unanswered. 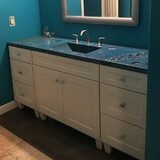 When you work with Eternal Rock Construction Inc, you know you're working with experienced professionals who specialize in high-quality projects. Discuss your next project with our knowledgeable experts and let us provide solutions that will meet your needs and exceed your expectations. Construction skills Sidewalk, retaining wall, walkway, driveway, concrete patio, concrete step, concrete slab, garage floor, basement floor, residential/Small commercial footings/foundations, and Flatwork. From installation to repair, Portland, OR driveway contractors are responsible for a variety of planning, installation, construction and driveway maintenance services. Driveway installation. Before work begins on a new or replacement driveway, your professional should create plans based on your needs and material choices, as well as your property grade, soil and other Oregon landscape factors. When it comes to the actual driveway construction, driveway contractors are responsible for preparing the site, obtaining the necessary materials, making sure a strong foundation is laid, operating equipment and heavy machinery, and cleaning up the site afterwards. Driveway materials. While most driveway contractors in Portland, OR primarily work with asphalt, they are also experts on the wide range of available driveway materials. If you are looking for something different than a standard asphalt driveway, your pro can help you select driveway pavers or customize a brick driveway design. A driveway installation and maintenance professional may work closely with a Portland, OR builder, landscape professional or various manufacturers and suppliers. Find a Portland, OR driveway installation and maintenance professional on Houzz. Narrow your search in the Professionals section of the website to Portland, OR driveway installation and maintenance. You may also look through Portland, OR photos to find examples of driveways that you like, then contact the professional or contractor who worked on them.